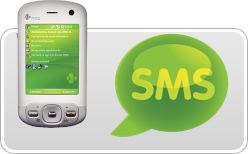 Have you ever wanted to integrate SMS(Short Messaging Service) service with your application? Are you searching for an option to stop fake users from signing up on your website? This article lists all major bulk SMS services and phone number verification services, you can choose the best one based on your requirements. Say you are developing a travel website where users can search for a holiday package and make online booking. Once the booking is done you want to send the booking details to the user via SMS. There are many service providers who provide bulk SMS services. You need to sign up for their service, few of them need a setup fee but there are some providers who charge you purely based on the number of messages sent from your application. How to integrate SMS service with your application? Select a service provider who provides an API to integrate SMS with your application. Most of them offers APIs in all popular programming languages including HTTP/HTTPS, Java, PHP, .NET. The volume of the messages is calculated using the API key provided by the service provider. Some providers gives complete statistics of the usage which will help you to analyze the trends. What are the limitations on Bulk SMS? Thanks for inform us about bulk sms, it is easy to use and we can send our massage in a single click, so get detail of Top 5 Bulk SMS Service Provider in India with SMS API to use sms in bulk to grow your business.